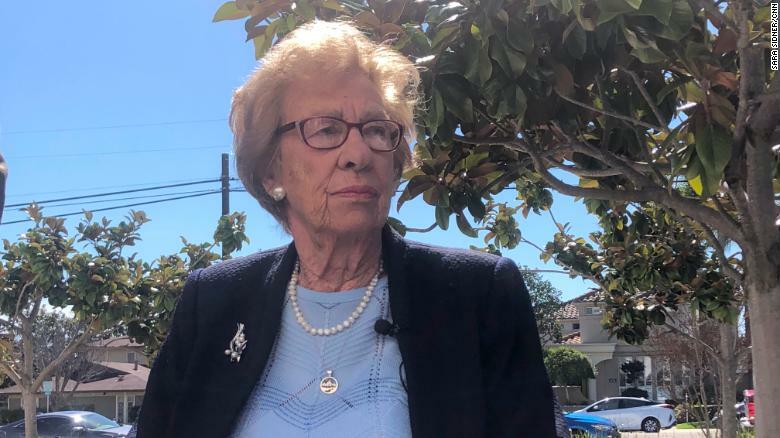 Eva Schloss, a Holocaust survivor and stepsister of Anne Frank, spoke to children who posted photos online with Nazi imagery. 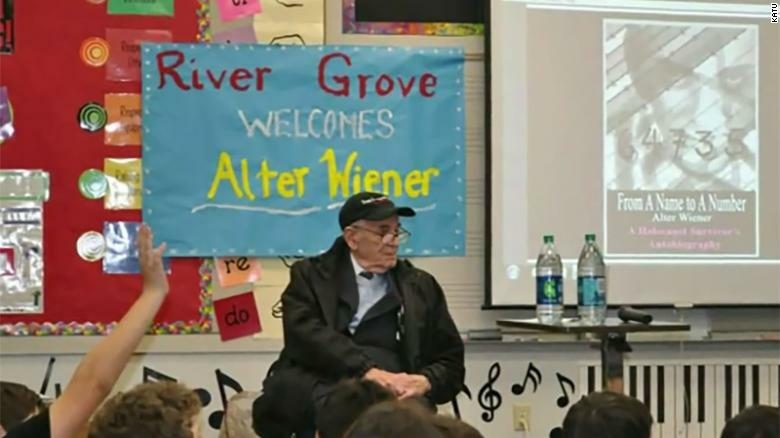 After the images were shared online and reported in the media, Mintz helped to bring Eva Schloss, an Auschwitz survivor and stepsister of Anne Frank, to talk to the school.Schloss was brutally honest about the horrors she and other teenagers endured at the hands of the Nazis. 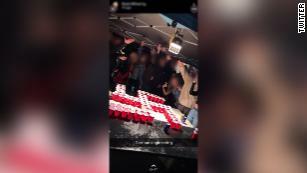 She told the students about the Nazi gassing of Jewish people and targeting of disabled people and their children.Those who were there say many of the teenagers involved with the viral pictures were crying. Many of the students have also written open letters of apology to the Jewish community, the city, the school district, friends and family. 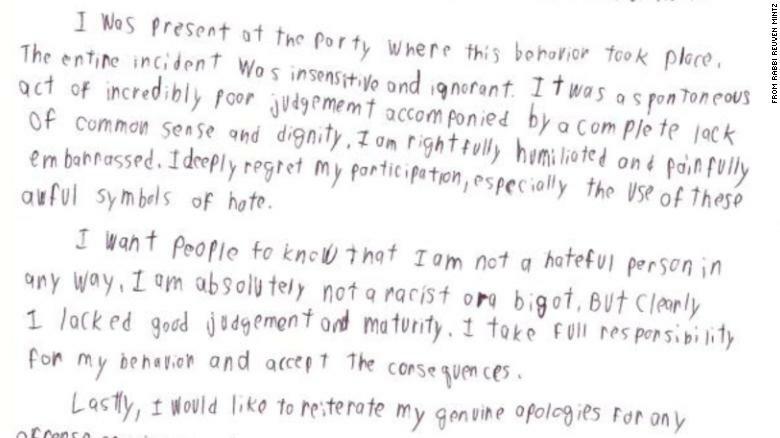 Students wrote letters of apology for their actions at the party. 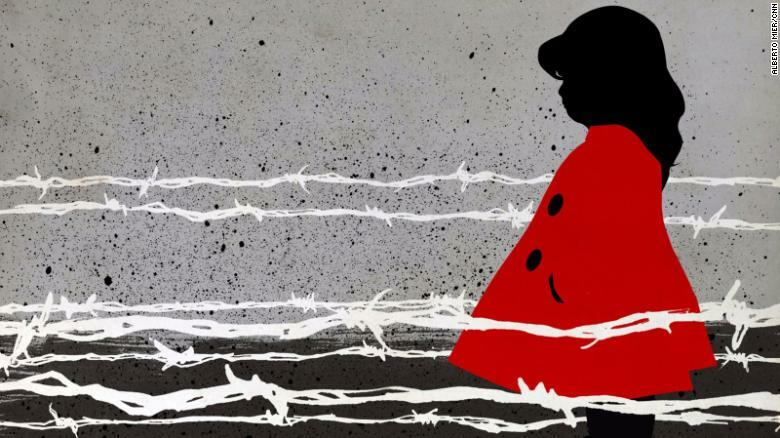 A child’s red coat fading from her father’s view is a chilling reminder of the horrors of the Holocaust. Elie Honig, a former federal and state prosecutor, is a CNN legal analyst and a Rutgers University scholar. The views expressed in this commentary are his own. View more opinion articles on CNN. (CNN) Fifty-seven years later, Gabriel Bach still pauses to compose himself when he tells the story of the girl in the red coat. 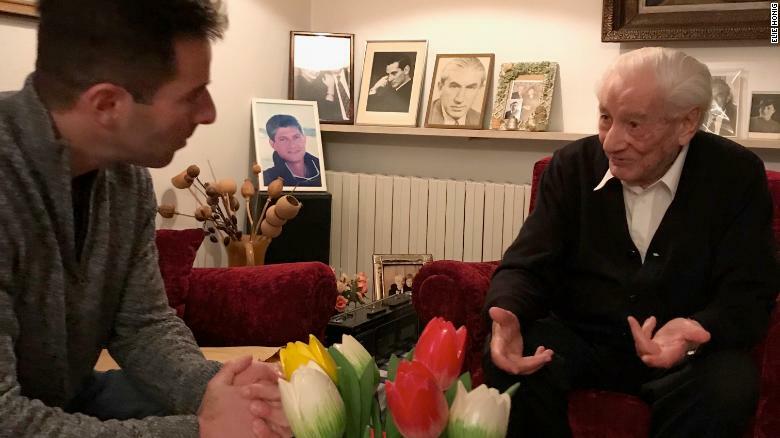 Bach took time to speak with me last week about his experience as one of three Israeli prosecutors who tried the notorious Nazi logistics director Adolf Eichmann for war crimes in Jerusalem in 1961. 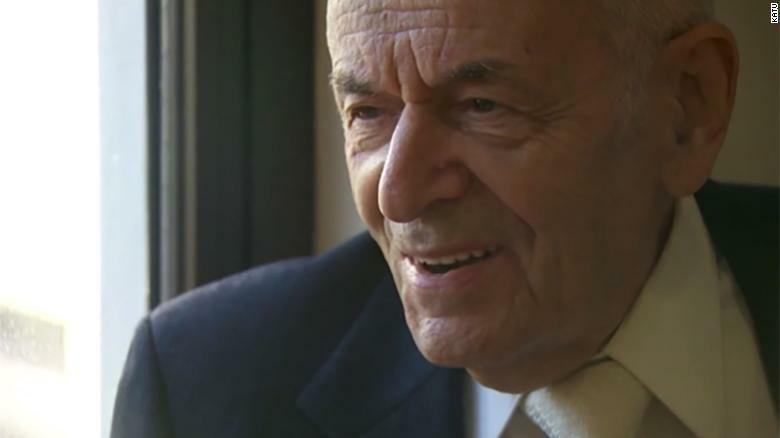 Bach, now 91, still remembers the testimony of one particular Holocaust survivor. Responding to Bach’s questioning, the survivor, Dr. Martin Foldi, described how he was transported in a cattle car from Hungary to Auschwitz in 1944 with his wife, son and daughter. Upon arrival, two lines formed. A Nazi guard signaled for Foldi to go right and Foldi’s wife, son and daughter to go left. CNN legal analyst Elie Honig interviews retired Israeli Supreme Court Justice Gabriel Bach in Jerusalem. 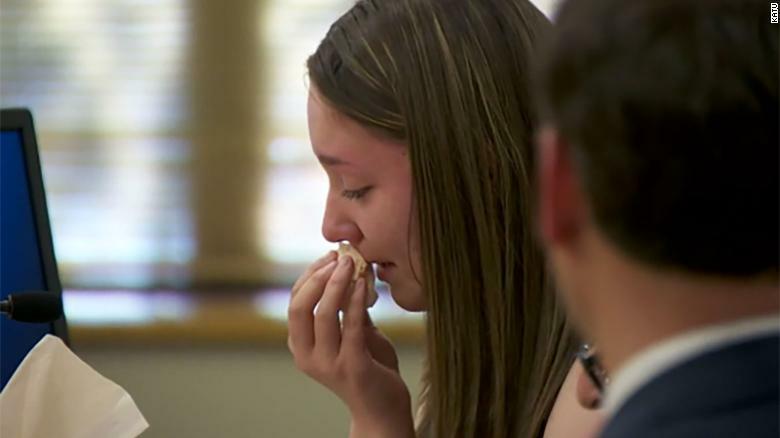 Like any good prosecutor, Bach tried to maintain an unflappable demeanor. However, even in a trial recounting countless colossal horrors, Bach said the testimony about the red coat was the “only minute of the trial … I suddenly couldn’t utter a sound.” Aware that the judges were waiting for him to continue and that television cameras were rolling, Bach pretended to shuffle papers on his desk to allow himself a moment to recover. Bach’s life story is particularly relevant today given the rising tide of ethnic and racial intolerance— and extremist attacks borne of such hatred — in the United States and across the globe. More than five decades ago, as the whole world watched, Bach faced down Eichmann, an infamous Nazi officer who perpetrated genocide on a nearly unthinkable scale, in a courtroom in Israel. 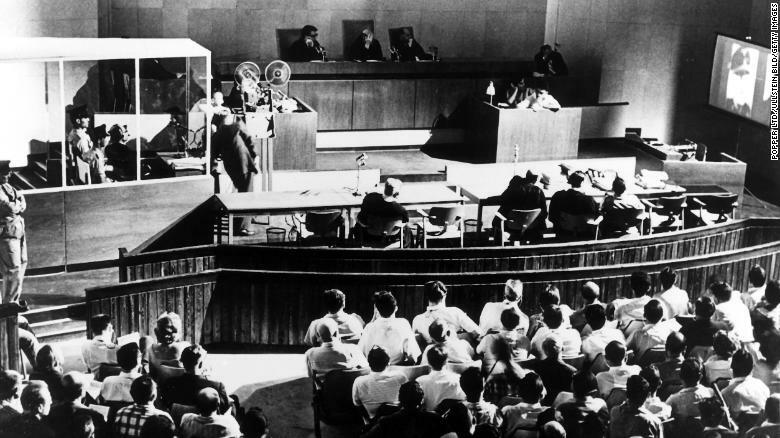 The lessons from the Eichmann trial — about the rule of law, the quest for justice and the dangers posed by ethnic hatred — still resonate today. Eichmann was known as the “architect” of the Holocaust because he was responsible for identifying, gathering and transporting millions of Jews and others to concentration camps across Europe. Bach refers to Eichmann as the “director of the Holocaust” because of his central role in planning and carrying out the execution of millions of innocents. 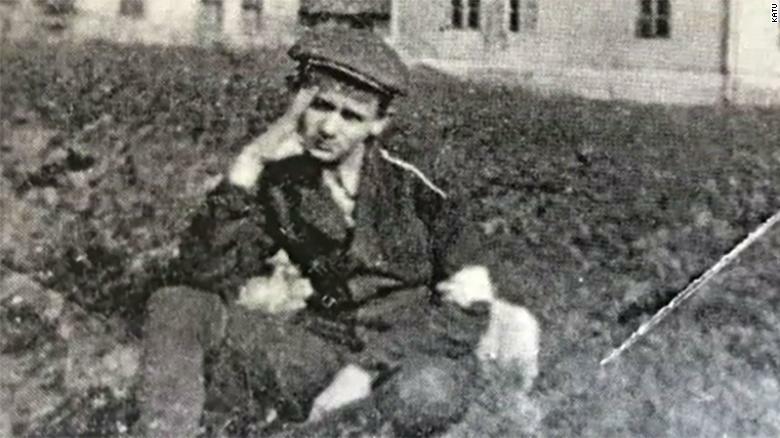 American forces captured Eichmann at the end of World War II, but he escaped from a prison camp in 1946. He remained in hiding while an international manhunt ensued. Fourteen years after Eichmann’s escape, Israeli intelligence agents captured him in Argentina in 1960 (as depicted in several books and movies, including 2018’s “Operation Finale“) and then transported him to Jerusalem for trial. The trial began in April 1961. Bach led the prosecution team’s investigation, gathering witnesses, documents, film and other evidence from around the globe. He presented testimony from numerous witnesses, including survivors with remarkable stories; one had been a young child who was let out of a locked gas chamber just before execution to help unload a delivery of potatoes that had arrived at the camp. Bach felt it was important that the court hear from at least one survivor from every Nazi-occupied country. 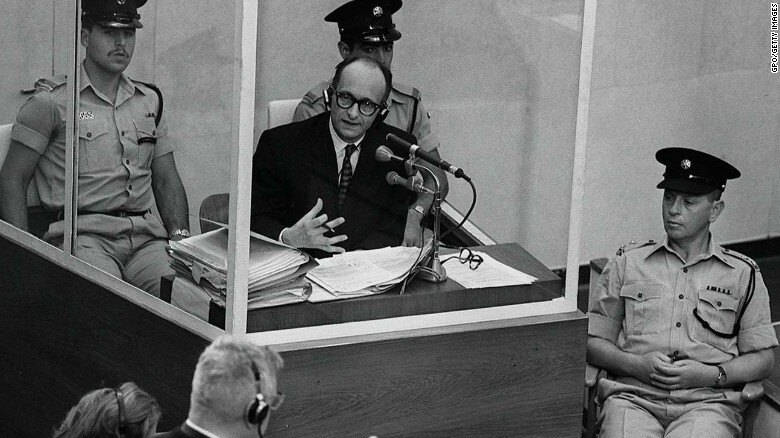 Adolf Eichmann, the Holocaust’s “architect,” goes on trial in Jerusalem in 1961 after Israel captured him. Over four months, the world watched as Bach and his colleagues methodically laid out the proof of Eichmann’s crimes. During the trial, Eichmann sat inside a bulletproof glass box. Bach sat just feet away at counsel’s table. Bach recalls that, throughout the trial, Eichmann was stoic and unemotional. Bach responds to Arendt’s conclusion first with visceral disgust — he calls her view “rubbish” — and then with the methodical precision of a skilled prosecutor. Bach notes that Eichmann declared after the Holocaust (but before the 1961 trial) that he regretted not having done more to kill Jews. Bach then reels off examples where Eichmann took pains to prevent any person from being spared or shown mercy. In one instance, a German general requested that a French Jewish man who was an expert in radar technology be spared so his knowledge could be utilized; Eichmann rejected the request and ordered the man deported to a concentration camp. Bach also notes that Eichmann believed it was imperative to kill children, to prevent the maturation of future generations of Jews. Arendt can have her theorizing; Bach is secure resting on the hard facts. Eichmann stands in a protective glass booth flanked by Israeli police during his 1961 war crimes trial. At the end of the trial, a three-judge panel convicted Eichmann of war crimes, crimes against humanity and other offenses, and sentenced him to death. Eichmann appealed to the Israeli Supreme Court, where Bach successfully defended the verdict and sentence. Eichmann was executed by hanging on June 1, 1962. Bach was offered the opportunity to witness the execution but declined. At 91, Bach sees that he has lived an almost impossibly charmed life. Bach grew up in Berlin, where he attended the 1936 Olympics and sat so close to Adolf Hitler that he says he saw Hitler leave his private box in anger after Jesse Owens sprinted to a gold medal. Bach’s Jewish family fled from Germany for the Netherlands just weeks before Kristallnacht — when the rising Nazi party destroyed Jewish homes and properties and killed dozens of German Jews — in November 1938. 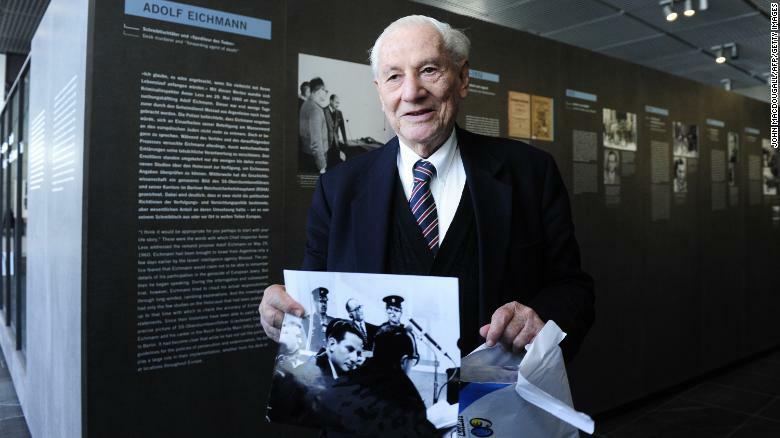 Bach holds a photo as he tours the 2011 exhibit “Facing Justice — Adolf Eichmann on Trial” in Berlin. After the Eichmann trial, Bach went on to a distinguished legal career, including 15 years as a justice on the Israeli Supreme Court. He now lives a quiet, happy life with his wife in Jerusalem. They have three grown children (one of whom has passed) and eight grandchildren. In his advanced age, Bach still has a sparkle in his eye, an easy laugh and a natural warmth. He has a steel trap memory for the details of the Eichmann trial and a deep faith in and respect for the rule of law. Bach has spoken about his life and the Eichmann trial countless times on five continents, in countries as disparate as Brazil, Japan, South Africa and the Philippines. He has spoken many times in Germany, including in Berlin at the Parliament, where he was moved by the warm reception he received. In Israel, he is a national hero and was greeted at a recent speaking appearance with a thunderous standing ovation from a sellout crowd. While many people look to Bach for inspiration, he does not purport to have an easy answer to the growing hatein the United States, Europe and elsewhere. Nor can he fathom why so many people know little or nothingabout the Holocaust or doubt that it ever happened.